It’s easy to think that the solution to a policy problem is to fund a new programme or put in place new legislation. These are, of course, important parts of a policymaker's toolkit, but new approaches can often help us to solve the problems that we face. The publication of the Behavioural Insights Team’s (BIT) trial results over the past two years – which I welcomed in a recent blog on the behavioural insights approach – illustrates this point well. BIT – popularly known as the Nudge unit – have applied findings from behavioural science to a wide range of policy areas, often without the need for legislation or expensive incentives. For example, a simple change in messaging to encourage organ donation showed that a message based on reciprocal action worked best (“If you needed an organ transplant would you have one? If so please help others”), adding 100,000 donors to the register in 12 months. Harnessing messaging encouraging reciprocity may not be the most obvious way to encourage organ donation registrations, but it has proved very effective. There are many examples of where a potential solution to a policy problem is not what you first might expect. This is why I was so interested to learn about the rise of e-cigarettes, which haven’t been developed by government but might provide some answer to one of the greatest challenges we face: the fact that smoking remains the leading cause of preventable death in the UK. Any new technology or intervention that can help us reduce this figure should be considered very seriously. E-cigarettes are a promising avenue to explore because, although they are not risk-free, they are likely to present a fraction of the risk of smoking. We know from behavioural science that an important tenet of behaviour change is that it is much easier to substitute a similar behaviour than to eliminate an entrenched one, with the ultimate goal of individuals becoming free of nicotine dependence. However, it is crucial to get the regulatory framework for these products right, given their potential benefits and the legitimate concerns around issues like marketing to children. Over the past five years, the Behavioural Insights Team have been following closely the emerging evidence in this field and supporting the development of this regulatory framework. In their latest report, BIT highlight data collected by the Office for National Statistics (ONS) showing that almost all users of e-cigarettes are smokers or former smokers. The fact that the most recently published ONS data continues to show this is encouraging for those who see the behavioural benefits of e-cigarettes. It is also supported by a recent UK-based randomised control trial study, which found smokers who use e-cigarettes are more likely to report continued abstinence from smoking than those who used a licensed nicotine replacement therapy (NRT) product. Of course, we must continue to review the evidence over time to look at how e-cigarettes are being used and by whom, in particular with respect to the impact on renormalisation of smoking – and this is where reliable and regular ONS data plays an incredibly important role across a wide range of policy areas. In light of this, I welcome the recently announced independent review into the production of UK economic statistics, led by Professor Sir Charles Bean, which launched a call for evidence last week. I encourage interested parties to provide evidence to the review, to enable ONS to continue its vital role promoting and safeguarding the production and publication of official statistics that serve the public good. E-cigs work great and are normalizing not smoking. Nudge,Nudge ,Wink ,Wink. Yet more Taxpayers money wasted on meaningless drivel. I presume the Nudge unit is aware that the EU Tobacco Products Directive, which will become UK law next May, will outlaw the sale of of all current refillable devices and all eliquid above 20mg/ml in nicotine strength - the liquid effective for former heavy smokers as an acceptable cigarette substitute. Will the Government enforce these regulations or allow this technology to continue preventing future cases of lung cancer? The incoming regulation on ecigs is the complete opposite of what the Nudge unit is about. Regulation that will cause harm, rather than clever policy-tweaking that will enhance their harm-reducing potential. It will, at a stroke, wipe out the gains made by the Nudge unit's support. The absolute tragedy is that the Article 20 amendments to the TPD will destroy the progress and innovation within the vaping/e-cigarette industry. The restrictions on reporting, development and devices and liquids effectively hand the whole thing to the tobacco and pharmaceutical sectors who are eagerly awaiting the demise of an industry that they are unable to control. Alongside that interference by businesses (vape bans) and organisations such as the BMA, citing old, debunked evidence will discourage smokers from moving to a lower risk/harm alternative and dilute the effect of denormalising tobacco usage. Businesses have already been seen forcing vapers/ecig users (staff and customers) into not only the same physical space as smokers but also the same stigma group. Both the UK and EU governments need to act, quickly. The "Promising avenue" that you highlight in your article will effectively be turned into a cul de sac with the implementation of article 20 of the TPD in May next year. As Jonathan said, come next May nothing (that works) currently available will still be legal. The TPD (art 20) is a defacto ban on vaping. To take up your example of organ donation registrations,if you were an ex-smoker using an ecig which will be banned under TPD2 - how would you feel?There are up to 250,000 ex-smokers using devices with >2ml tanks and/or >20mg/ml liquid which will not be permitted under the new directive - and the Dept of Health hasn't even bothered to assess the impact of the legislation on these people. An illuminating blog that highlights a recent RCT featuring Prof. Ann McNeil as one of the study authors, subsequent research http://www.kcl.ac.uk/ioppn/news/records/2015/April/New-e-cigarette-research-on-type-and-frequency-of-use.aspx demonstrated that vapour tanks were one of the key elements to the success of e-cigarettes. Unfortunately, as a previous commentator has mentioned, all such devices will be non-compliant when the TPD is introduced in May 2016. 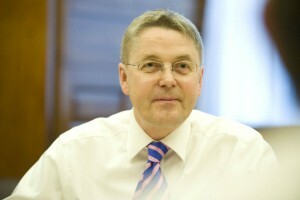 The UK Government announced via a consultation document that the MHRA will be the competent body to regulate e-cigs https://www.gov.uk/government/consultations/draft-regulations-on-the-sale-and-manufacture-of-tobacco-products,with its previous track record of antipathy towards e-cigs http://nnalliance.org/about-us/news/528-uk-dept-of-health-appoints-the-mhra-to-regulate-ecigs. I wonder if the positive tones contained in this blog will be maintained in 12 months time following the implementation of the TPD? 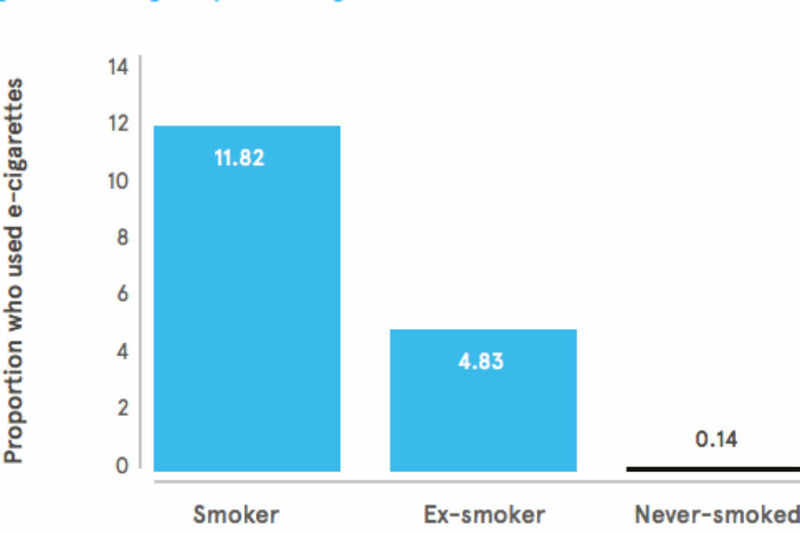 The act of switching from tobacco to ecigs actually DEnormalises smoking. More than 20 colleagues have ceased burning tobacco in the 3 years since i started vaping all of whom asked my advice having seen me NOT smoking. It is a pity that the civil service treats ecigs like tobacco in its smoke free policy instead of encouraging the far less harmful alternative. The EU TPD (article 20) will either send me back to smoking cigarettes or turn me into a criminal. I know what option I will choose. Something has to be done to prevent this tragedy as it will affect at least 2.6M people in the UK alone. The tragedy here is that whilst clearly some in government recognise the huge potential benefits of e-cigs, once again the European Legislature has ignored all relevant treaties and imposed "not fit for purpose" regulations which will have the impact of actually increasing tobacco use as the products which work are banned and choice removed. 3. I was involved in discussions with DBIS, the Behavioural Insight Team at the Cabinet Office and the DH on regulation of NCPs. I support the principle of "right touch" regulation of all nicotine containing products bv the MHRA." Essentially it is full rules apart from the Phase 3 efficacy trials with initial cost in the £ms and time in years.Naturally, no supply-side impact assessment has ever been done. It is also interesting to note how "Response to CHlvlwG2013!1 st papers on "Right Touch Regulation" (RTR) and the potential impact of bringing NCPs into medicines regulation on PH outcomes and on business (Impact)"
"modelling of the potential impact of bringing these products into medicines regulation on public health outcomes."